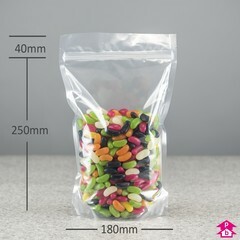 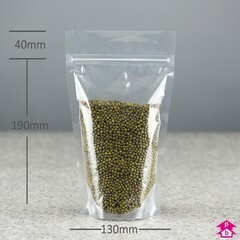 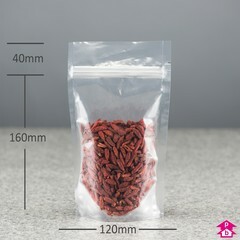 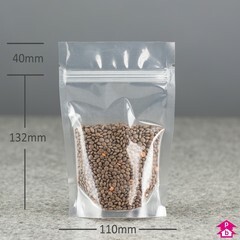 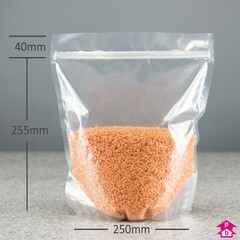 Clear stand-up pouches give full visibility of their contents from all sides. 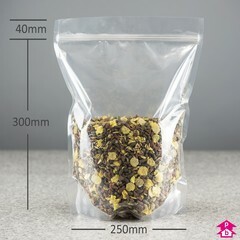 Range covers 150ml up to 3 litres volume. 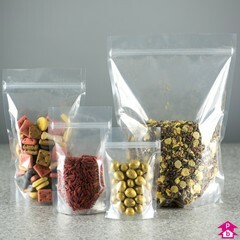 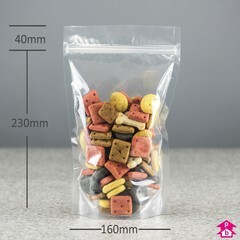 Attractive, eye-catching way to package and present products.